Conveniently located in the heart of Oakland! All of the comforts you expect and the amenities you deserve. Cutting edge amenities and a dedicated staff contributes to a higher standard of living. Convenient shopping, award-winning schools, public transportation, local museums and parks are all close at hand. 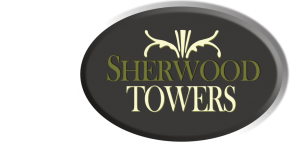 Schedule a tour today with one of our friendly leasing agents and see why our residents love coming home to Sherwood Towers!